A humanistic, people-friendly city is first and foremost an accessible city, where mobility is possible for all. Copenhagen is a perfect example for that. 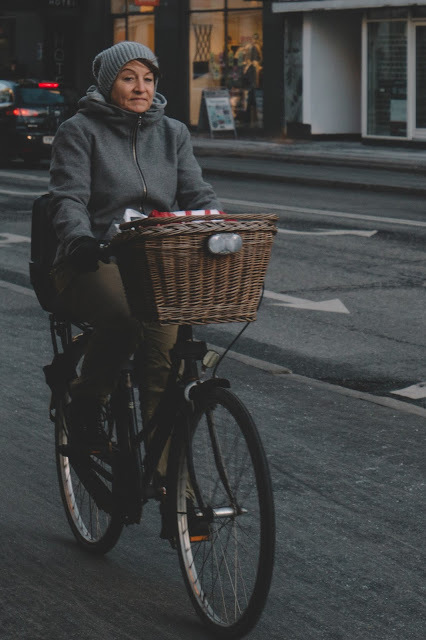 The Danish cycle culture is as old as bicycle itself. With the best practice bicycle infrastructure, it is easy to spot older people cycling everyday. 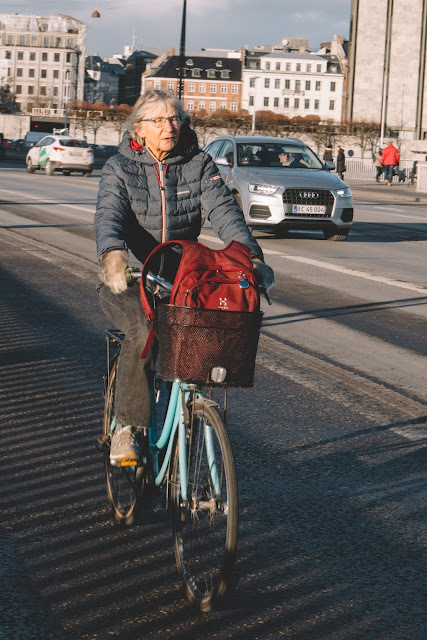 These ladies ether running their daily errands, going to work or just taking in that winter breeze, use their bikes to do that. Just beautiful! Wind chill is not a problem. Just put on bigger scarf. All set. Full front basket and package on the back rack. 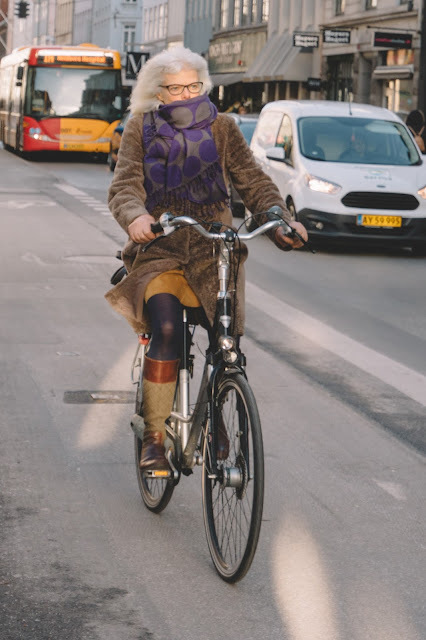 In Copenhagen everyone meets on a cycling lane. Young or old, men or women, single or with family. Everyone is cycling!